This learning disability affects a person’s ability to understand and comprehend numbers and mathematics. Those who suffer from this disorder may also have a hard time organizing and memorizing numbers, learning how to use mathematical symbols, telling time, and counting. While not as well-known as its cousin dyslexia, dyscalculia is estimated to affect between 3% and 6% of the population, making it almost as prevalent. Thankfully, there are many ways that you can help your child overcome this disability. Whether it be through strengthening math skills or boosting self-esteem, Integrated Learning Academy is here to help your child succeed! Dyscalculia is a neurological disorder that makes it very difficult for a person to make sense of number and math problems. Being that different kids have different issues and therefore different needs, it can be difficult determining if dyscalculia is the root of the problem. However, this disability can manifest itself in many ways and can affect numerous areas related to math learning and performance. At the heart of dyscalculia is a problem with “number sense.” This is essentially a person’s innate ability to comprehend how numbers work together, and how to compare and estimate various quantities. Number sense is at the core of math learning, and provides the foundation on which all other mathematics must be built upon. Basically, learning math can be a nightmare if a kid has a poor understanding of how numbers work. Researchers of mathematical leaning disabilities often make the comparison to colorblindness. Some people are born “number blind”, making it extremely difficult to tell the difference between two quantities or values. This is likely one contributing factor that causes children to experience difficulties with math. Some children are unable to grasp basic number concepts despite the fact that they take the time to learn various mathematical rules and facts taught in schools. In other words, they are missing the logic behind the application, they known what to do in math class, but they don’t know why they are doing it. For others the opposite may be true, they may understand the underlying concepts, but suffer from an inability to recall and implement the rules that they have been taught. In either case, your child’s struggle with math can be down right frustrating and altogether confusing, especially if he or she is doing well in other subjects. In turn, this can cause anxiety and low self-esteem. 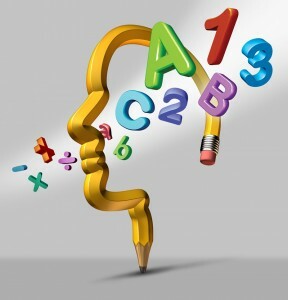 However, there are numerous strategies and tools that can be adopted to help combat dyscalculia. The hard part is finding the methods that will work best for your child. While dyscalculia is a lifelong condition, that doesn’t mean that it cannot be overcome, and with proper training and treatment your child can become happy and successful in math class and beyond. Heredity and genetic predisposition: Studies have shown that some families may be at a higher predisposition for dyscalculia and other related math difficulties. 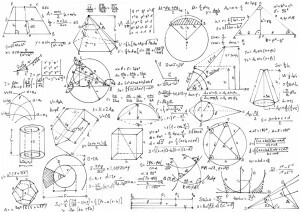 researchers have noted that a child with dyscalculia is very likely to have a parent who suffers from similar mathematical issues. Serious brain trauma: There have been numerous cases in which a serious injury to certain parts of the brain has resulted in what experts call “acquired dyscalculia” or clinically acalculia. So remember to wear those helmets! Environment: This does not refer to the timeless nature versus nurture debate, but rather to the environment in which a child developed in the womb. Studies have linked dyscalculia to both high rates of alcohol consumption during pregnancy, as well as to prematurity and low weight at birth. Neurological Development: In recent years, researchers have been using brain imaging technology to study the brains of people with and without math based learning disabilities. While research is still ongoing, what they have found thus far is that there were substantial differences in surface area, thickness, and volume of various parts of the brain from one group to another. This is intriguing because these areas are those linked to leaning, memory, and mathematical reasoning, and therefore provides evidence to support the claim that dyscalculia is a neurological disorder. For those who suffer from dyscalculia, the root of their math problems may be any one or any combination of the causes listed above. Resolving difficulties related to math and numbers has a life changing impact on individuals with dyscalculia, their families and communities. Dyscalculia does NOT define a person; there are numerous success stories for those who suffer from the condition. For many with dyscalculia, difficulty learning to work with numbers as a child can manifest itself later on in life and negatively impact things like social skills, career advancement, sense of direction, physical coordination, and time and money management, to name just a few. This is why it is imperative to act now to treat this disability so that these pitfalls can be avoided further on down the line. 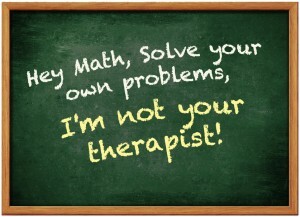 Besides the aforementioned methods and strategies, the best way to treat dyscalculia is by seeking professional help. Educational specialists will be able to develop a plan of action specific to your child, and will be able to identify the areas in which he or she struggles most. They will also be able to highlight any other disabilities that might potentially be exacerbating these problems with math and numbers, and will prove to be an indispensable asset in charting your child’s road to success. At Integrated Learning Academy we combine traditional treatment methods with Brain Gym exercises. These exercises serve several purposes. First, they help calm the anxieties associated learning math. Secondly, they activate the brain and open up the neuro-pathways to promote learning.